Have you watched Descendants of the Sun? You might only remember Song Joong-ki and Song Hye-kyo as they are the main characters, but you can not leave out this handsome actor! Cho Tae-kwan played the role of the doctor, named Daniel Spencer, in Descendants of the Sun. Are you curious about him and his life? Let’s take a look at his profile! Cho Tae-kwan is a South Korean actor who was born on February 12th, 1986, in Toronto, Canada. As he was born in Canada, he is also known as Jasper Cho. He used to study at Falmouth University and majored in Creative Advertising. He began his career by appearing in a commercial for GE Appliances in Canada in 2007. Currently, he is working under Yul & Urbane Global Entertainment’s management as an actor and art director. He started to show up in the Korean entertainment industry after competing in the survival show Superstar K 6 back in 2014. After competing in Superstar K 6, he continued to build his career by starring in music videos, such as Girl Hood’s “Honey Darling I Love You,” in 2014, and Lee Seong-yeol’s “Song 1,” in 2015. The next year, he made his debut as an actor by starring in Descendants of the Sun as Daniel Spencer. Later, he became the new host of the entertainment news program Showbiz Korea, in 2017. Fun fact: he admitted that he noticed some signs of his co-stars, Song Joong-ki and Song Hye-kyo, dating while filming Descendants of the Sun. On the MBC talk show Radio Star that was aired on July 12th, 2017, he shared his thoughts about the recent marriage news of Song Joong-ki and Song Hye-kyo. He said that while they were filming the drama, he didn’t know that they were dating. But after he heard the director telling them to really try liking each other with sincere feelings and Song Joong-ki responded that they are already doing well on their own, he had a feeling that they really were doing well on their own. However, unimaginably, his statement became a hot issue after the broadcast. In an interview on the next day, he sincerely apologized to the couple for talking about them. He stated that he just answered because the MCs asked him, but he later thought that he might have made a mistake. He also added that he just said it as it is, but he is feeling sorry toward Song Joong-ki and Song Hye-kyo. Cho Tae-kwan started to gain popularity after his appearance in the popular drama Descendants of the Sun, back in 2016. If you are curious about his work, here is a complete list of shows where he appeared! Seeing his young and handsome appearance, it might be hard to believe that he is already married! 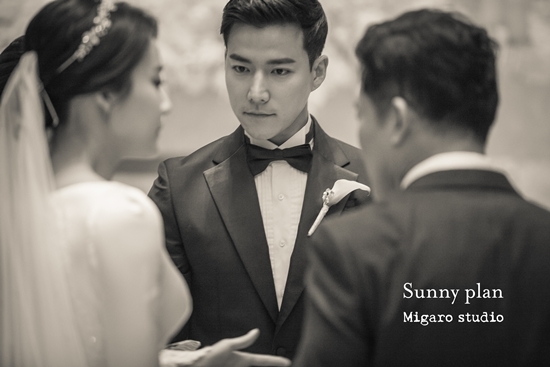 He married his wife, Noh Hye-ri, back on November 19th, 2016. 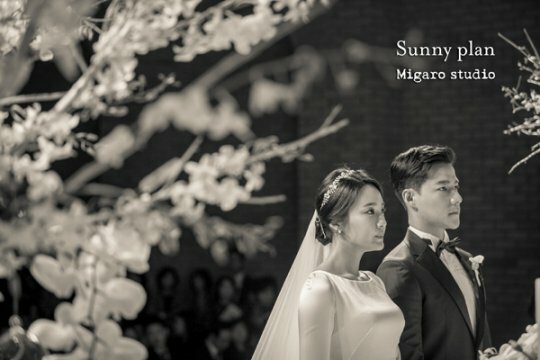 According to a studio that was in charge of his wedding photos, there were many celebrities that attended his wedding, such as Shin Hyun-joon, Kang Soo-ji, Hong Suk-chun, Choi Soo-jong, Ha Hee-ra, and many more. It was said that he originally met his wife in England when Cho Tae-kwan went overseas for his business. After a year of dating, the couple decided to tie the knot and hold their wedding ceremony in November 2016. For their wedding, they made a gorgeous photo. 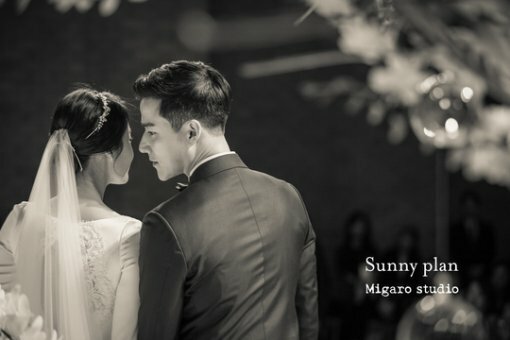 The couple chose the theme of Descendants of the Sun as their wedding photos’ theme, as in the last episode of the drama, Cho Tae-kwan’s character, Daniel Spencer, got married but the wife didn’t make an appearance. Here are some of their beautiful wedding photos! What do you think about their wedding photos? Do you think the couple looks perfect in them? As he was born in a foreign country, he is definitely good at speaking English! We can see his amazing ability in speaking English in this preview of his interview with KAvenyou. You can see the full version of the interview here. 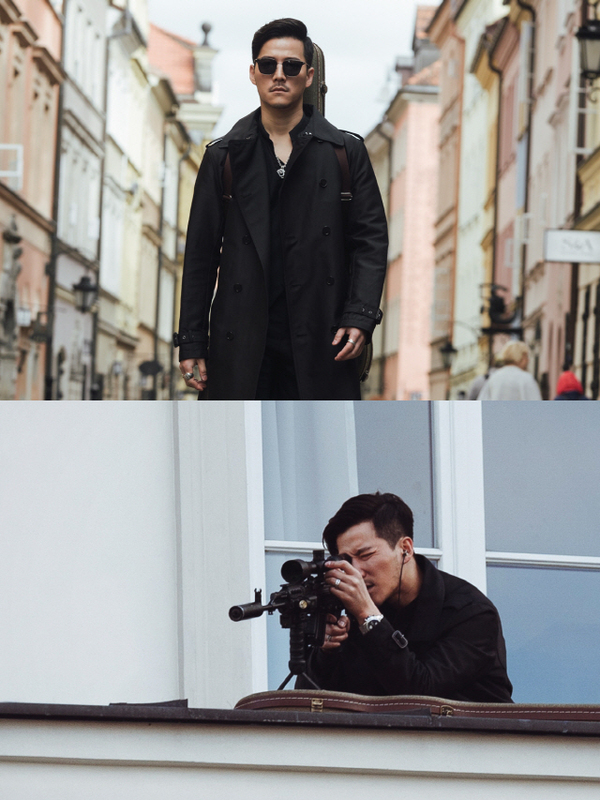 Recently, Cho Tae-kwan starred in the MBC drama Terius Behind Me as an agent with UNIQ’s Sungjoo. The drama tells the story of a legendary black ops agent and his neighbor, who jumps into an information war, as they work together to find the truth behind a conspiracy. He played the role of an expressionless psychopathic sniper known as Kay. He is known for eliminating targets with poisonous darts. He also added many dangers to the protagonists’ lives, Kim Bon (acted by So Ji-sub) and Go Ae-rin (acted by Jung In-sun), by continuously appearing in front of them. As a celebrity, Cho Tae-kwan loves to share his activities with his fans through social media, or to be exact, Instagram. Here are a few of his posts on Instagram! In this post, we can see his playful side as he has stuffed his nose with a choco-ball! What do you think happened to the choco-ball? Here, we can see his cool look as he is driving his car! 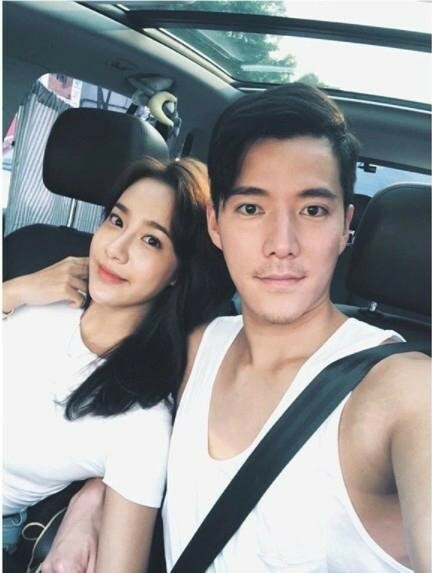 In this photo, we can see Cho Tae-kwan posing with his wife, Noh Hye-ri. Don’t you think they look adorable? In this post, we can see his charismatic look as he wears a suit. In this post, he shared a video of 75 Street’s song titled “Gwireul Magabwado.” If you want to listen to it, you can find it at Yul & Urbane Global Entertainment’s official Youtube account here! In this photo, we can see him posing in casual clothes. Even in casual clothes, he still looks as good as ever! In this photo, we can see an adorable view of him kissing the back of the head of the child. But if we look in the caption, it turns out that Cho Tae-kwan is not kissing the head of the child, but rather smelling his head. In this post, he promoted a song which was produced by IKON’s B.I and Bobby for a variety show that he starred in, Curious Husband’s Getaway. In this post, he shared some photos of him shooting the variety show Curious Husband’s Getaway. If you want to see more of his updates, you can visit his Instagram account @jasperrrrr!